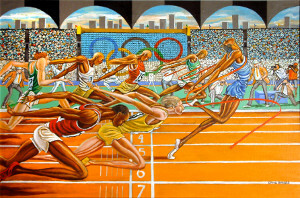 “Olympic Finish” by Ernie Barnes was the 2004 U.S. Olympic Art Competition winner in Graphic Works. The United States Sports Academy is privileged to run its fourth consecutive U.S. Olympic art competition. The Academy is working in cooperation with the Art of the Olympians under the auspices of the United States Olympic Committee (USOC) on the “London 2012 Art Competition.” The university has a great commitment to sports art, establishing the American Sport Art Museum and Archives (ASAMA) in 1984. It is arguably the largest collection of sport art in the world. A call to artists for entries has been made for the London 2012 Art Competition, which is accepting submissions through Feb. 1, 2012. The competition is open to artists of all ages who are American citizens. 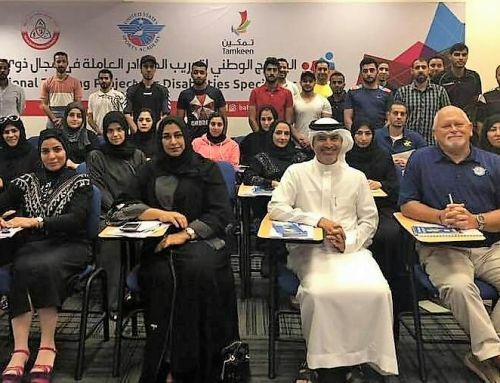 Winners of the competition will be entered in the International Olympic Committee (IOC) Art Competition, where the first place prize is $30,000. The winning art will be on display at the 2012 London Olympic Games. Entries in the past have included artwork from such well-known sport artists as painter Ernie Barnes, sculptor Sergey Eylanbekov and sculptor Edward Eyth. The theme of the London 2012 Art Competition is “Sport and the Olympic Values of Excellence, Friendship and Respect.” Artists are at liberty to interpret this theme by combining the three values and/or depicting only one of the values in the work submitted. The two categories of works are Sculptures and Graphic Works, which include paintings, drawings, engravings, etc. Both categories include abstract art and there are no restrictions on the choice of techniques utilized by the artist. No works that already belong to a museum or private collection can be entered in this competition. All works entered must be free of any third-party rights. Sculptures cannot exceed 44 pounds and 4 x 3 x 3 feet, including packaging. Graphic Works cannot exceed 4 x 3 feet, including frame. Submissions must be received between Sept. 1, 2011 and Feb. 1, 2012 at ASAMA. 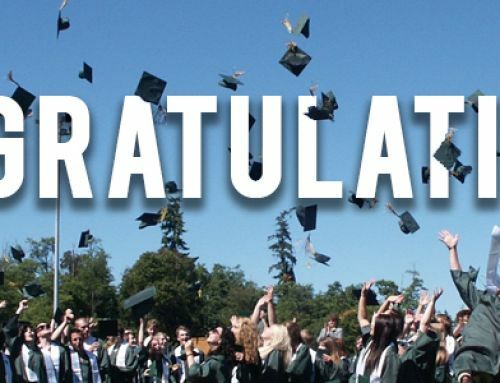 The institution’s mailing address is: One Academy Drive, Daphne, Ala., 36526. View the official rules and regulations.